Inauguration Function held 12th January 2016 at 5 PM. By Sri. Pinarayi Vijayan ; Hon' Chief Minister Of kerala. 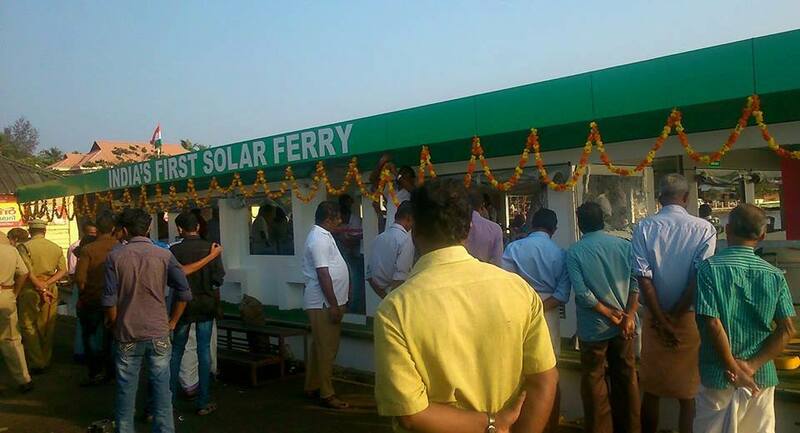 The solar Ferry is the product of NavAlt ; a company that builds electric boats and ferries powered by solar energy. NavAlt is pioneering solar-powered mobility that is commercially viable.
" The photovoltaic modules on the roof of the 20m ferry will be sufficient to charge the batteries for 6-hour operation everyday. During the cloudy days of Kerala, the ferry service will still be operational with secondary charging available at the dock. 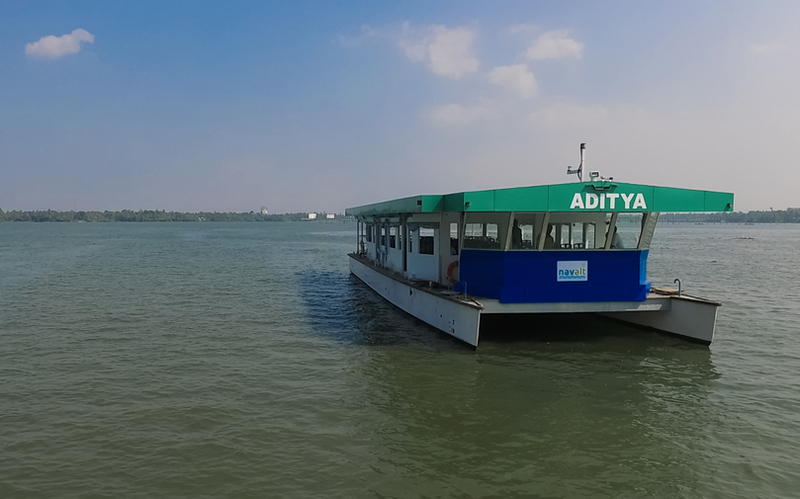 With negligible operational cost due to absence of fuel, India’s first solar ferry’s breakeven period is as low as breakeven period is as low as two years. After factoring MNRE subsidy the boat is break-even from day one. With our resolve to provide diesel-free water transportation, we have succeeded in building a ferry which cares for mother Nature. Negligible noise pollution is another benefit." 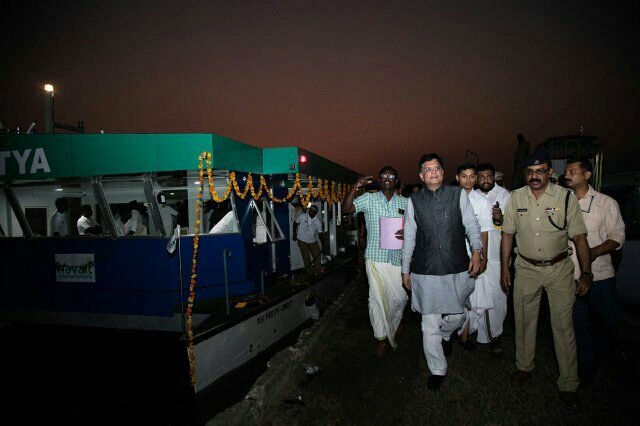 Union minster assured that central government will extend support to introduce more similar boats in Kerala's backwaters as it is keen to promote environment-friendly projects.